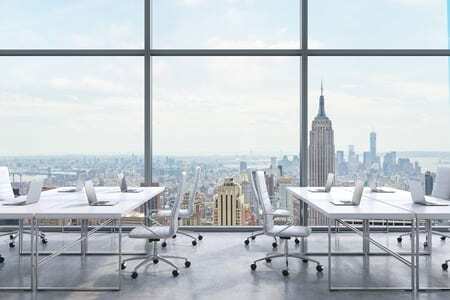 Businesses often spend a great level of resources, both in terms of money and time, on selecting the right office furniture for their office space. This is a critical decision so the investment is usually worth it because bad furniture can help reduce productivity and potentially even make the company less attractive to potential new hires. That being said, one part of the process that is often overlooked is in finding a good office furniture installer to complete the job once the right desks, chairs, etc. are selected. Thankfully, in a place like New York City, you have plenty of options and many who are very good at what they do. Unfortunately, though, information asymmetry and the paradox of choice can make it a tough decision at the same time. There are some tips that you can follow which may help you find the right person to move your furniture in a place like NYC. The first place that most people look nowadays is the internet- particularly places like Yelp or Google Reviews. These can be fine choices, but it is important to do your research and read through reviews as well as look at the reviewer history if possible to make sure they are not just planted reviews. Beyond this, make sure you check multiple sources and not just one. If one site stands out from the rest, chances are they are forged reviews. Beyond looking for reviews, have a conversation with potential contractors and treat it like you are interviewing them. You want someone who is professional, has a history of strong work and the necessary credentials, and possibly even has some positive references. The important thing here is also to trust your gut once you find a person who meets your checklist of needs. From there, you should ask them for a formal contract on the services they will provide and make sure to review the stipulations before you sign. Things that should be specified in the contract include that the contractors will get all the required approvals and permits, the beginning and end dates of the work, and a schedule of payments. At least 20% of this should be part of the final payment in order to ensure adequate work completion. Once the project begins, your job is unfortunately not over when it comes to setting up your office just the way you want it. With big projects, especially if your office employs more than fifty people, you are bound to run into issues and changes in the scope of work. Here, amendments may be needed to your contract and it is important to look for the same things you did when the initial contract was drafted. It may also be a good idea to pre-specify a neutral arbitrator at the inception of the original contract in order to avoid unnecessary legal action. Just make sure they are not biased to either party. Ultimately installing furniture in a place like New York can be a tall task, but there are many tools out there to help you make sure the job is done right the first time. Good luck!